Have you been in Rome already? Well that is not a problem, always from your accommodation in Rome you can opt for an half day to the beautiful town of Tivoli and its Villas! 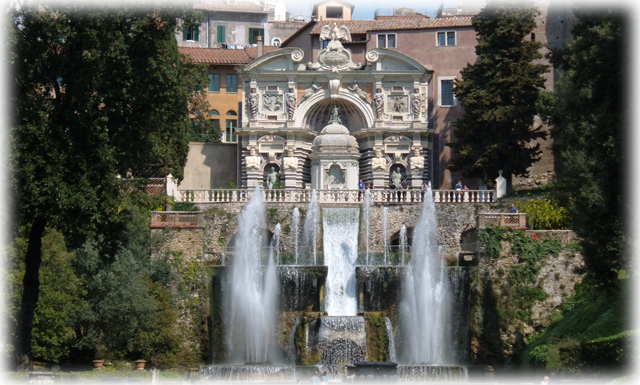 VILLA D’ESTE // After around 45 minute drive we will reach the fist of the 2 Villas that you’ll visit. Villa d’Este is for sure amazing but its gardens make it one of the most visited places on earth! You can easily spend the entire day in its gardens, but you will have anyway the chance to touch a part of it, unless you decide to extend the duration of the tour! VILLA ADRIANA // Hadrian was surely one of the most amazing emperors of Rome and its Villa is surely a wonderful example of its power and splendor! You can rent audio-guides in there or simply explore the beauty of the antiquity.